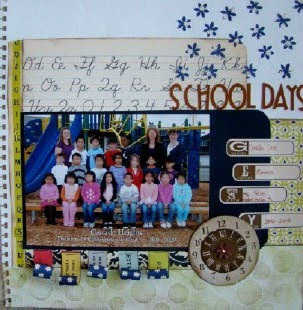 Here is another layout with the Scraptivity Jan kit. I know I've said it before, but its worth repeating... I LOVE the October Afternoon Report Card line! Nice! I like how the paper in the background looks like a coil note book. Very cool! thanks, that is a punch that I wanted for so long, I've been using it on everything lately!